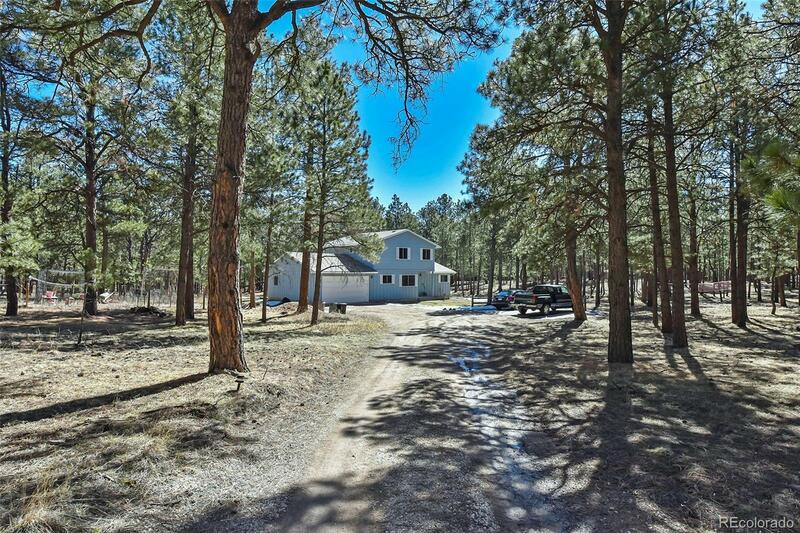 Your Opportunity to Live on nearly 5 treed acres in the Forest! Super level lot, well cared for and already fire mitigated... and just over 5 minutes to Woodemen Road! This 4 Bedroom Home offers true Main Level Living... Make this home your Masterpiece! Solid home that needs TLC. The newer windows, furnace and water heater are already there... Now decorate and upgrade to match your taste. This peaceful setting sits perfectly apart from neighbors, and provides private enjoyment of wildlife and woods. Easy access to I-25 on the north end of Colorado Springs... Real Colorado awaits!